COMMUNITY SERVICE: Each November, we publish one of our favorite, if most challenging, issues-Local Heroes. It’s our favorite because we have the privilege of honoring folks who diligently-and often quietly-help to make our community such a remarkable place to live. It’s challenging because we have to pare down the increasingly abundant list of nominees. After much deliberation, 20 heroes were selected for their selfless acts. To find out who the 2009 Independent Local Heroes are, click here. 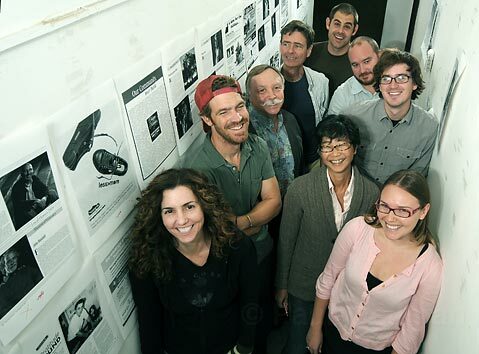 Pictured are some of the Indy writers, editors, and designers who put the issue together.